This Monday's dreamy mixtape is brought to you by Orchid Tapes. When Toronto-native Warren Hildebrand started Orchid Tapes in 2010, he did it out of necessity. He wanted to release music under his Foxes in Fiction moniker and decided it would be easiest to do it himself. Fast-forward to 2014 and Orchid Tapes has grown into more than a one-man operation. The label is now run by Warren and artist Brian Vu and the two have put out over thirty releases from artists such as Elvis Depressedly, Happy Trendy, Infinity Crush, R.L. Kelly, and many more. The past twelve months have been especially exciting for the label – they put on their first showcase last May and have held two more since then with a fourth coming up at the end of the month. The label made the seamless transition from cassette to vinyl with Ricky Eat Acid's Three Love Songs and the upcoming Boring Ecstasy compilation. The recent success of the label has been a long time coming and we can't wait to see what Orchid Tapes has planned for the rest of the year. Also, Warren lets me sleep on his couch a lot and has the best cat ever. "Since I was about 10 or 11, I’ve been really into the idea of making mixtapes or mix CDs to share music that may be new to my closest friends or family members, so I jumped at the idea of putting one together for THE LE SIGH! And while a lot of these songs may not be new to a lot of people, they’re both some of my favourite songs that I’ve found myself coming back to for years, and also some more recent favourites that I wouldn’t have found if it weren’t for all the incredible musicians that I’ve met through Orchid Tapes. So this is a mix of both of those kinds of favourites highlighting some of my favourite female singers. I’m not sure what it is exactly, but I’ve always been more drawn to music with female vocalists or male vocalists with very ambiguous sounding voices. Even when I first really began seriously getting into music, I can remember thinking I had never heard anyone with a voice as beautiful as Joni Mitchell and that no one would ever come close for me in my mind. Of course my tastes have changed and expanded a lot since then, but that connection to female voices has always been a constant and only continues to grow as I discover more and more new music. Hope you enjoy!" 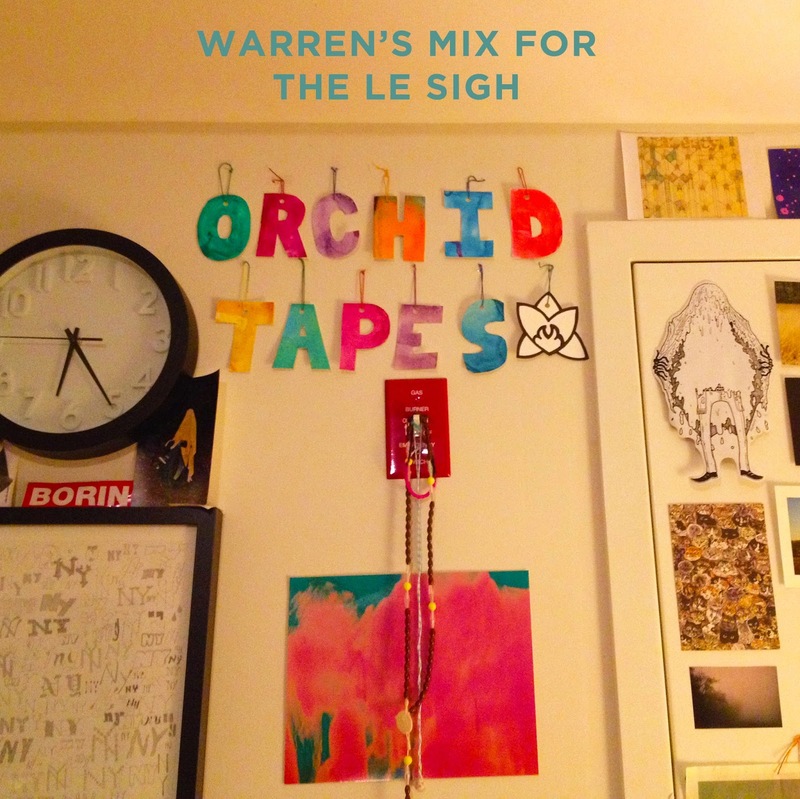 Orchid Tapes from thelesigh on 8tracks Radio. Check out Orchid Tapes' website here.